The Greensboro Hornets already had this May 1991 game well in hand, but Cesar Perez helped close it out, according to The Sumter Item. Perez came on in the ninth inning, his Hornets leading 14-0. He proceeded to record the final three outs without letting a Sumter Flyer reach base, The Item wrote. Perez came into that game in his fourth season as a pro. He went on to see time in seven seasons. He briefly made AA, but he didn't make it higher. Perez' career began in 1988, signed by the Yankees as a free agent out of his native Panama. He played his first two seasons in the rookie Gulf Coast League. He got into six games his first season and 11 in his second. He had ERAs under 3 both years. Perez played 1990 between single-A Greensboro and short-season Oneonta. He got into 41 games between them, with a 3.14 ERA. He also went 2-2 and saved two games. He returned to Greensboro for all of 1991. He pitched a third of an inning in an August loss. Overall, he had a 2.65 ERA in 30 relief outings. He got into another 33 games at high-A Fort Lauderdale in 1992, getting a 2.70 ERA. He then moved to the Indians system for 1993. 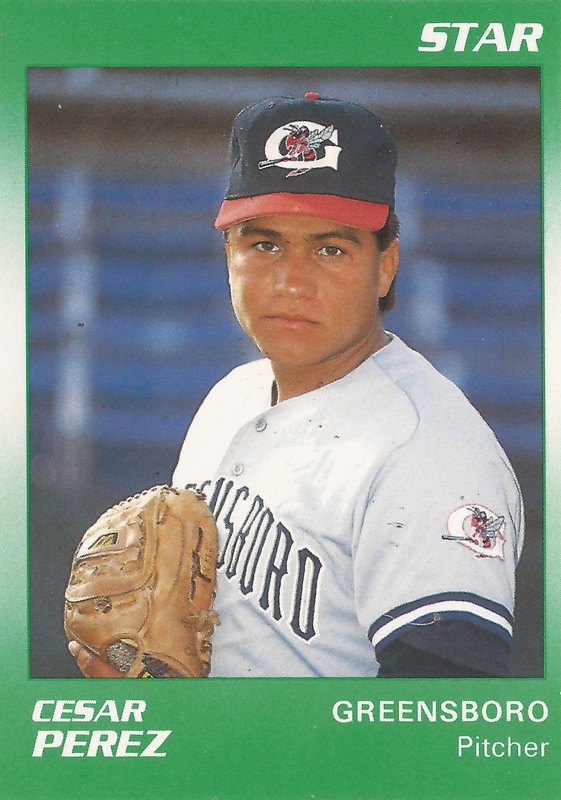 Perez played the 1993 season between single-A Columbus and high-A Kinston. The then-22-year-old had a stellar 1.06 ERA on the year. He started 1994 at AA Canton-Akron. He gave up a run in an April inning of work. But Perez got into just seven games for the club. They were the last games of his career.